The National Centre for Radio Astrophysics – NCRA Recruitment 2019 for posts of Engineers in various disciplines, Scientific Assistant-B, Clerk-A, Tradesmen-B in various trades. 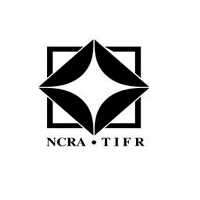 The detailed eligibility and application process for NCRA Recruitment are given below. How to apply for NCRA Recruitment 2019 for Engineer? All interested and eligible candidates can apply for this position in online or send the printout of the application along with required documents to following postal address latest by 30 April 2019. B.Sc (Computer Science) or Diploma in Computer Engineering with minimum 60% marks. Experience: 0-2 years of experience in a reputed organization. Knowledge of typing and use of personal computers and applications especially MS Office. Experience: 1 year experience as Clerk in administrative matters and correspondence in a large and reputed organisation. ITI (Electronics) with minimum 60% marks. ITI (Fitter) with minimum 60% marks. Experience: Either (i) 2 years or (ii) NCTVT with 1 year in reputed workshop or organization. Experience: Either (i) 2 years or (ii) NCTVT with 1 year in a reputed organization. How to Apply NCRA Recruitment 2019?